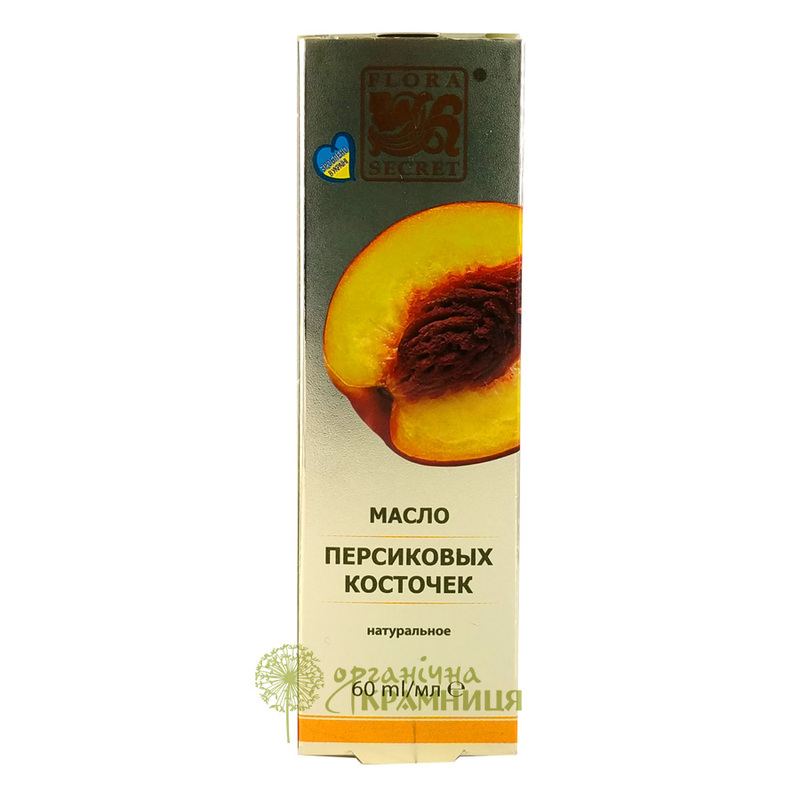 Peach kernel oil is produced by the Ukrainian beauty brand Flora Secret. It is a 100% natural product obtained from high-quality raw material. 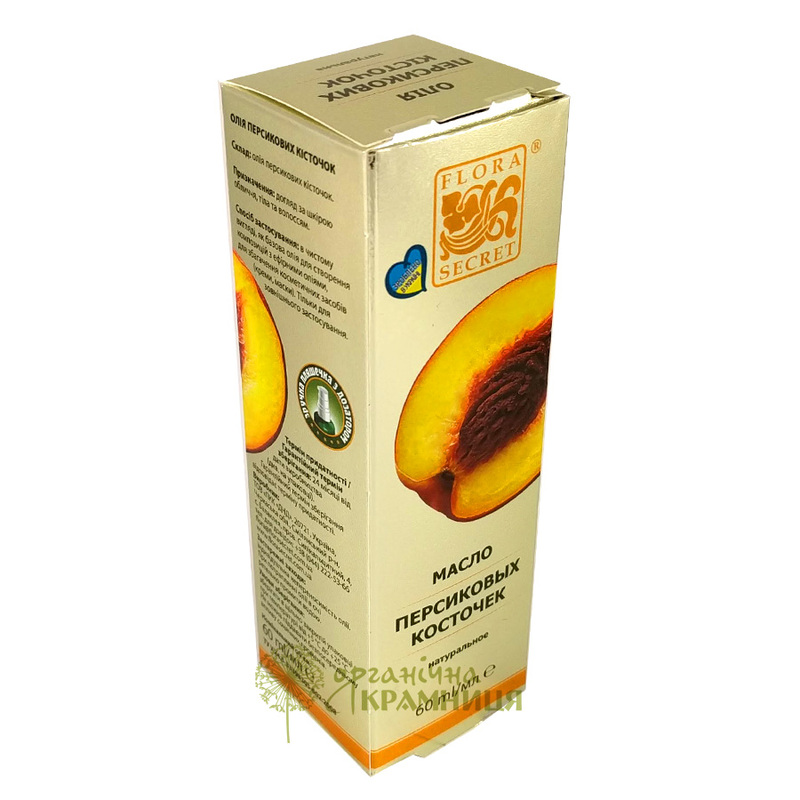 The oil is pressed from the kernels of Prunus persica (peach), it is similar to almond oil and apricot oil. Peach oil is rich in essential fatty acids and other nutrients, it is widely used as a personal care product to take care of skin, hair and nails. Composition. Peach kernel oil is rich in saturated, monounsaturated and polyunsaturated fatty acids such as stearic acid, oleic acid, linoleic acid and linolenic acid. It contains vitamins A, C, E and B15. As for minerals, peach oil contains calcium, phosphorus, iron and potassium. Properties and use. Peach kernel oil has moisturising, anti-inflammatory, toning, softening, smoothing, regenerative and rejuvenating properties. It is perfect for taking care of problem, dull and ageing skin. 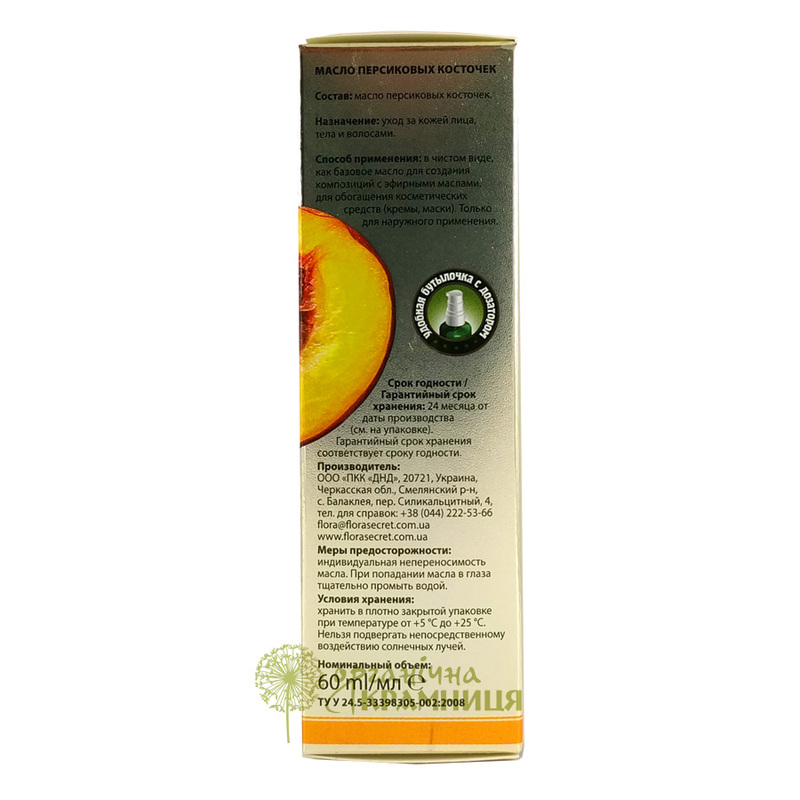 Peach oil can be used as a complementary treatment for dermatitis, eczema and burns. It also has an anticellulite effect. Can be applied to the lips and the sensitive skin around the eyes. Ingredients. 100% Natural Prunus Persica (Peach) Kernel Oil. Want to buy Peach Kernel Oil? Call us or submit your order via our web site!